When I’m faced with a pitch shot in the 20 – 50 yard range I have no idea how hard to hit it. I have no feel and it shows! What can I do so I have more feel for these pitch shots? Feel on pitch shots is critical. 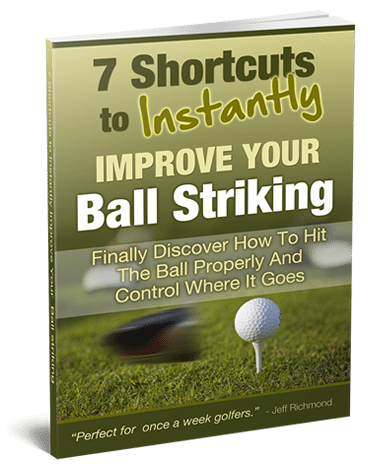 So if you’re standing over the ball without a clue how hard to hit it, then your results will not be very good – ever! 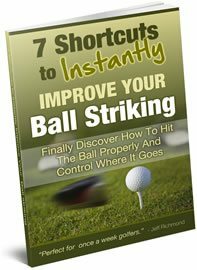 To improve your distance control for a 20 – 50 yard pitch shot, I recommend you put down the clubs and spend some time simply underhand tossing balls to your targets from different distances. When you do this you’ll notice that the tempo and rhythm will be close to what you should be using when pitching. And when you’re doing this, experiment and toss the ball at different trajectories and from different distances. After say 15 minutes of doing this, then get out the club you normally pitch with, and before you play a shot imagine yourself underhand tossing the ball to your target. Then use this same feeling when pitching to help you have more feel on these shots. So just transfer the feelings of underhand tossing a golf ball to your target to your real pitch shots, and your feel will improve without really trying. Try it yourself and be impressed.